Turns out there are limits to Bethenny Frankel's power. The former reality-TV star broke out as a fan favorite in the early seasons of Bravo's "The Real Housewives of New York City"; as the other cast members picked fights with one another, Frankel largely kept her head down, with plotlines focusing on her building a business. She left the program for her own show, focused on her wedding, in 2010. 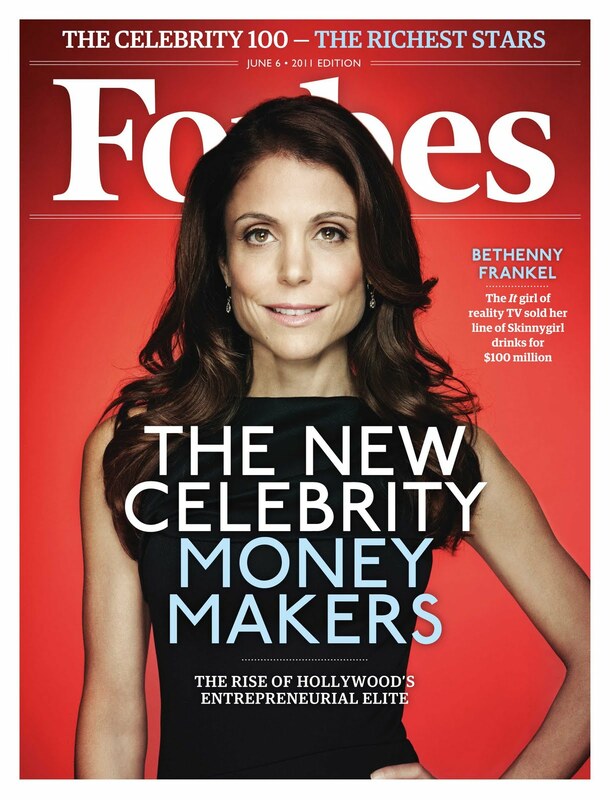 By 2011, Frankel was on the cover of Forbes, which reported she'd sold that business, a line of low-calorie drinks called Skinnygirl, for $100 million. But with the recent launch of her daily syndicated talk show, Frankel has come to seem vulnerable. The show's been reported to have problems booking guests. The specifics of the reports may not be true, but when it comes to trouble booking stars, the proof's in the pudding. The guests on a typical Bethenny episode are the likes of Elizabeth Hurley (whom Frankel lectured about a brief encounter at a restaurant where Frankel worked, years before) and Kate Gosselin (whom Frankel strangely hectored about money, repeatedly encouraging her to talk by saying "Let's just do it"). She's shockingly tone-deaf: Talking to Tamar Braxton, a black guest, Frankel bragged about her own "lingo," a faux-"ghetto" patois, then shouted at the guest, "You so crazy!" When on her own, Frankel resorts to weird, discomfiting stunts like showering onstage. She has the former reality star's impulse for sensationalism and thirst for the camera's attention, but none of the skilled entertainer's nuance or mystique. Daytime hosting requires a very particular skill set -- there's a reason there are so few truly successful hosts amid so many attempts. And reality television stardom requires a different set. On "The Real Housewives," Frankel got about as good an edit as it's possible to get. When engaged in fights with her castmates, the brunette was portrayed as perpetually in the right, with her two adversaries alternately cast as unattractively neurotic and literally insane. Frankel had a knack for coming out ahead and coming up with an apt, cutting remark and making sure her plotline was both fun to follow and hagiographic. By now, she's strangely referring back to those old enemies, calling one "part of the wealthy, plastic surgery, Jewish crowd" -- and a woman from a different "Housewives" franchise "the matriarch of the machinations." Weren't we supposed to be past these feuds? And wasn't humorous, quick-witted Bethenny once better at this? But daytime TV isn't adversarial. So far, Frankel has done a great job at pulling focus from her guests -- making her interviews about herself. They're either about how she can relate to the stars' experiences or about how good Frankel is at interviewing ("Let's just do it!"). Oprah Winfrey, Ellen DeGeneres, Rosie O'Donnell: None of these people would be likely to lecture a guest about how they met once, years before. Reality TV teaches its stars to act like the center of the universe; the stars' outsize egos fuel the spats and strategizing that make just about any reality show worth watching. There is just about no other field of endeavor where this is attractive or appealing. There's a reason, aside from the perceived low-rent nature of reality, that so few unscripted stars ever end up doing anything aside from more unscripted TV. ("Fox and Friends" hostess Elisabeth Hasselbeck, who came from "Survivor," a show on which one must cultivate allies and put the tribe's interest first, is an exception.) Having been the queen of her niche, why should Bethenny even want to succeed as a talk-show host? Mass-cultural, Oprah-level success seems less and less a meaningful goal. But want it Frankel does, desperately -- she seems perpetually to be auditioning; here's another anecdote about a time on "The Real Housewives" you thought she'd put behind her! Here she is talking over her guest! She's been given the means to control her own narrative -- and she's constructed a daily hourlong shrine to her own point of view. It's as though Norma Desmond had finally been given her close-up -- with the crucial difference that Frankel is hardly washed-up. She has been for years treated to flattering stories about her marriage and divorce in tabloids, and had been for years before that a star of a popular reality show. But whether or not "Bethenny" the show survives, Bethenny the personality seems to have hit her limits. Her cohort on "The Real Housewives" tends to stay within the show's ecosystem -- contented with novelty singles only ever played on Bravo, cross-promotional appearances on other Bravo shows, dishy and brief memoirs about life behind-the-scenes. It's a perfectly respectable sort of fame, but not the sort Frankel craves. That's the irony of Bravo-style reality fame: you get to be the center of a small group's rapt attention, but your megafame to the few isn't scalable to broad awareness among the many. And maybe that's a good thing -- if Bethenny Frankel's skills were the sort that had traditionally guaranteed success, daytime TV would be as bad as its detractors claim.